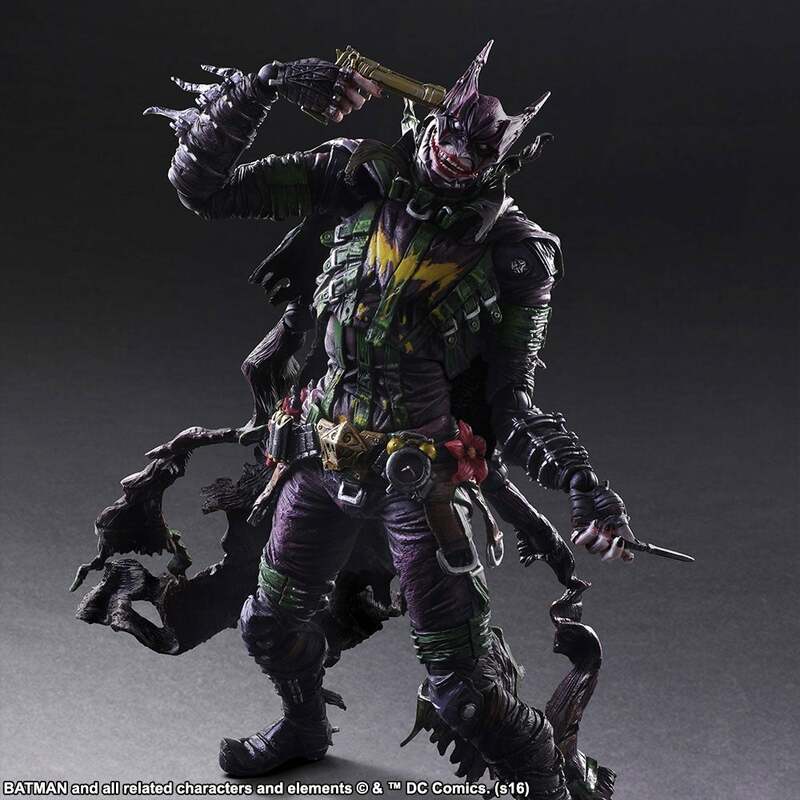 This new action figure by Square-Enix is Joker meets Batman by the way of Kefka from Final Fantasy VI. It's kind of amazing. Square Enix's Play Arts Kai line of Batman figures has never been afraid to go absolutely insane with takes on the character — it's what makes them so appealing (especially in comparison to the incredibly mild Marvel variants they do). But the new "Rogues Gallery" line they're doing, which infuses Batman with his most iconic villains, is definitely upping the weirdness in some pretty cool ways. 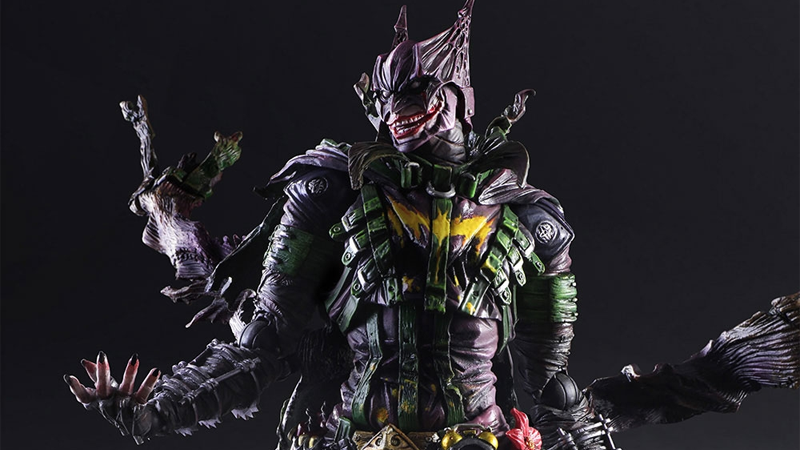 The initial "Two-Face" figure was kind of disgusting, but this new Joker version transforms Batman into something you'd expect your party of immaculately-styled Final Fantasy characters to face as a big boss battle. It's definitely got the Joker-ness in there — the maddening grin, the green and purple, enough frayed edges to make any self-respecting tailor faint — but it just ramps it up to ludicrous levels. 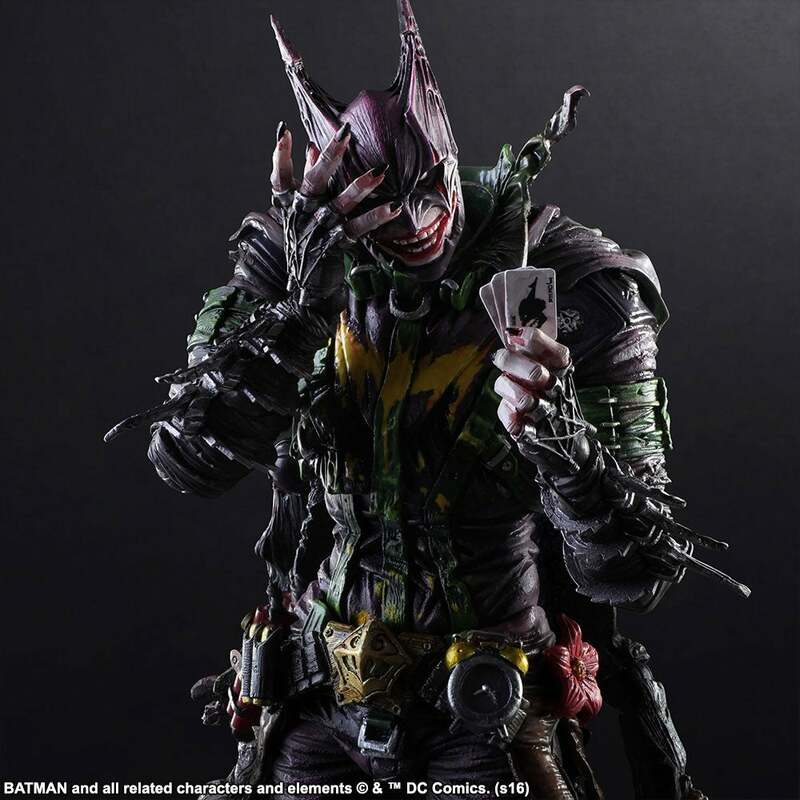 Aside from an alternative laughing head and a plethora of different hands, Joker-Batman comes with a pistol, a hand of playing cards, a batarang, a knife, and a "bang!" flag you can insert into the gun. The hours of grinding you usually need to do to take a J-RPG big bad aren't included. If you want one when they hit in March 2017, be prepared to pay quite the Bat-Tax on it: you can preorder it from Square-Enix right now for $US200 ($265). I swear... Square are the WORST st overdesigning things. This is why all their character designs for Final Fantasy have sucked since 10. They just keep adding lines and shapes and layers until its physically impossible to recognise a figure anymore. This is a classic example; its just a mass of random colours and pointy angles with zero memorable traits.